I am a broadly-trained environmental and earth scientist who is interested in the mechanisms and impacts of climate and environmental change. My interdisciplinary research and teaching interests led to my position as the first full-time environmental science faculty member at Berry College. I am currently teaching several environmental science classes and get to make use of a remarkable classroom–Berry’s 27,000 acre campus. Many days I am lucky enough to wear my boots to class when my students and I are studying a stream or analyzing a soil profile. 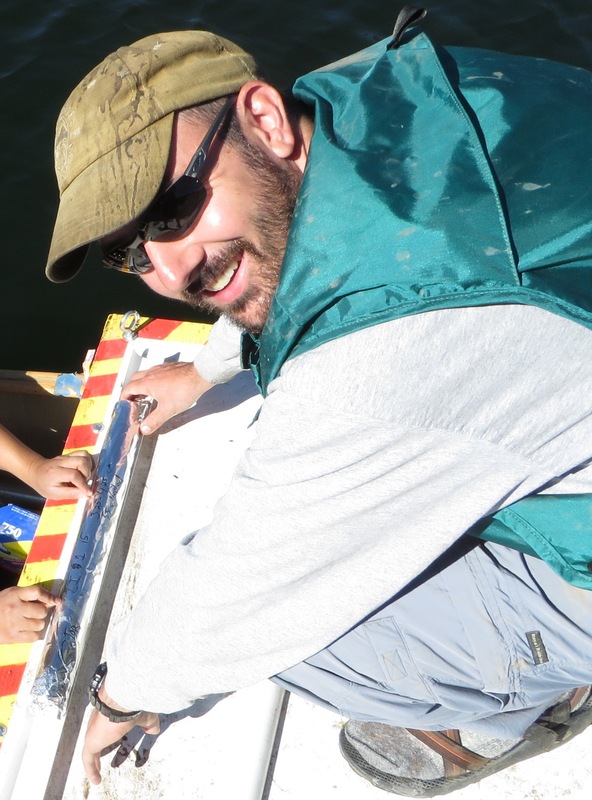 As a faculty member at a liberal arts college, I also have a robust research program where my students and I study lake sediments to reconstruct climate, vegetation, and fire dynamics from a host of locations including Colorado, South Carolina, and Costa Rica. Prior to my appointment at Berry, I taught for three years in the Department of Environmental and Earth Sciences at Willamette University. Before that, I completed my MS and PhD in Geography (though both were co-advised by geologists) at the University of Tennessee. My dissertation used stable carbon isotope analysis to examine spatial variability in lake sediments at a small lake in Costa Rica. This work also led to new findings about the contribution of late-Holocene droughts to the decline of maize agriculture in the region. I also have a BS in Environmental Science from the University of Denver where I was involved with a research project examining deglaciation and Holocene precipitation reconstruction. For more academic information, please see my CV. When I am not teaching, in the field, or in the lab, you’ll find me hiking, skiing, or otherwise exploring the outdoors. Since I grew up in Colorado and spent a lot of my time at the University of Denver playing in the mountains, being outside is a way of life. Now as a parent, I enjoy passing this ethos on to my two young sons. Copyright © 2019 Zachary P. Taylor. All rights reserved.